When it was operating at full capacity, the Ford River Rouge complex in Dearborn, Michigan had more than 16 million square feet of factory floor space, operated its own docks, ran an internal railroad of more than 100 miles, maintained its own furnaces to make steel and glass, and generated its own electricity. From 1927 through the 1960's, the sprawling complex and the 100,000 people who worked in it operated as a complete, vertically-integrated manufacturing facility: raw materials floated in one end, and finished Model A's, Mercury's and T'birds rolled out the other. Though "the Rouge" continued to operate as an assembly plant until 2004 when one last convertible Mustang GT rolled off the line in May of that year, Ford had decades earlier moved to a more decentralized manufacturing process. Body panels, drive-trains, dashboards, and all the other components arrived pre-assembled from specialized, often third-party, suppliers. While Ford continued to assemble the final automobile, and they were responsible for designing, marketing and selling it, the docks and furnaces at the River Rouge plant were sold off or shut down. Application software development is on a similar path. Though it lacked the docks, furnaces and railroad tracks of the River Rouge facility, the earlier generation of software applications were also build through a complete vertically-integrated process. The developer was responsible for the entire solution, from the user-interface down through the entire "stack" to the silicon. Over time, software application developers gained access to compilers, programming languages, operating systems and other foundation elements, freeing them to concentrate on the application layer and "final assembly" of applications. Cloud computing, and platform-as-a-service (PaaS) in particular, are further destinations on this same path. By providing a pre-built, stable foundation, PaaS solutions allow application developers to focus on the user-interface and other higher-order functions. These changes in the development environment have profound implications for commercial independent software developers' (ISVs) marketing efforts. A key benefit of PaaS is that ISVs can acquire foundation technologies and hosting & service infrastructure less expensively. As a result, resources that otherwise would be directed to engineering, development and operations should be available for sales and marketing. 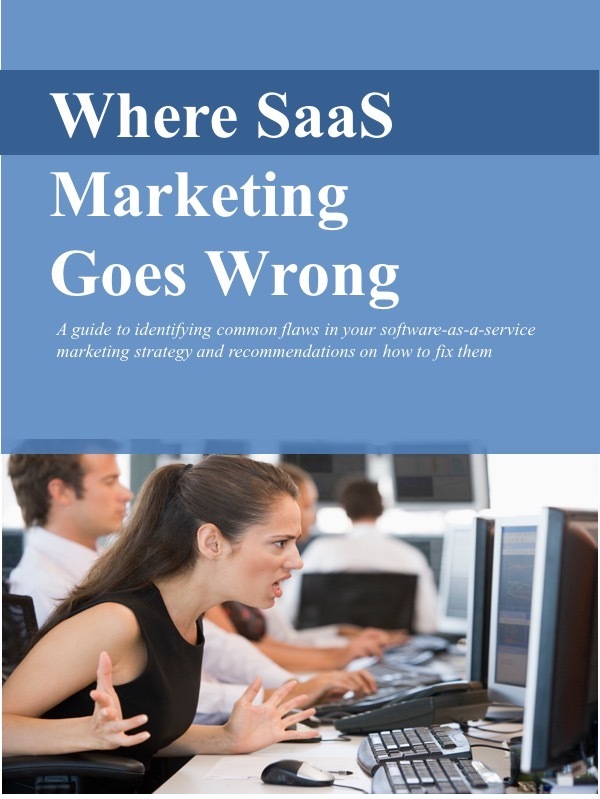 Most SaaS ISVs already spend nearly 50% of their revenues on customer acquisition. That percentage will likely increase as they take advantage of PaaS offerings and further reduce engineering costs. The availability of PaaS and the ability to concentrate on the user interface and functions that are closer to the customer should allow ISVs to be more responsive to their customers. Without the foundation baggage to lug around, they should have greater flexibility to meet the evolving needs of customers and to respond quickly to competitors. The flip side, of course, is that customers will expect that ISVs will respond more quickly. When they request a new feature or a fix from their SaaS provider, they won't tolerate an answer that explains "we're addressing that in the next release- due in 18 months." Innovation and time-to-market will accelerate and marketers must support a much more frequent release cycle. In a market where ISVs can avail themselves of PaaS solutions to quickly establish a foundation for their application at relatively low cost, barriers to entry are lower. As a result, marketers should expect a more competitive market. Expect pressure on prices, revenues or margins. One effect will be further pressure to tightly manage customer acquisition costs. Beyond that, enhanced competition will likely force marketers to decide whether to compete on price or to build other, more sustainable, competitive advantages. These may include establishing customer relationships built on trust, reliability, security or other qualities. PaaS, infrastructure-as-a-service, and other elements of cloud computing can offer valuable benefits to software developers: lower development costs, greater innovation, and faster time to market. But ISVs should beware of, and prepare for the impact throughout the entire organization, including marketing.